Situated around 50 kilometers from the bustling town of Calicut is the breathtaking Kakkayam Dam. Untouched by the tourist crowd, this spot is an ideal getaway destination for those who want to enjoy the scenic grasslands, the bubbling waterfalls, the towering mountains and the perennial forests. The reservoir is a part of the Kuttiyadi Hydroelectric Project. A trek to the Kakkayam valley, which takes you through the curved hilly roads and the evergreen valleys, is sure to be a memorable one. The Kariyathan rock, the Urukkuzhi waterfalls and the hanging bridge over the waterfall are the primary tourist attractions in this valley. Kakkayam region is also famous for its rich biodiversity and so visitors can spot a wide variety of plants, animals and butterflies during their visit. Apart from trekking, another popular adventure activity in this area is rock climbing. Find the joy in planning a D.I.Y. 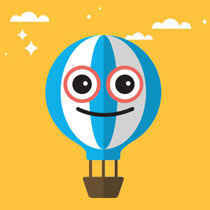 trip by using this awesome Calicut trip planner. Oomph up your visit by adding the best hotels in Calicut like Hotel Royal Kington, Kovilakom Residency, Emarald Hotel Calicut and Paramount Tower. Curated Calicut vacation packages await! Book the best ones and start turning your dream into reality.Discover various ways for how to reach Calicut and complete the booking by choosing your mode of transport. How popular is Kakkayam Dam? People normally club together Pazhassi Raja Museum and Pookot Lake while planning their visit to Kakkayam Dam. It is the one of the best destination for travelers who loves natural rides. Driving through the narrow road by enjoying beautiful hills is the best experience for me. Lots of places for photography. Often we can see animals like monkey and elephant. Great historical place. If your are looking forward to boat and have some fun this is the location for you. You can also enjoy 1-2 km of wildlife and Forrest areas before heading to main part which is the dam itself...and yea ! Make sure U carry some bucks with ya. Cuz boating and entering there doesn't come with online or credit/debit payment. One of the best places to visit with family and friends, and comfortable for couples also. Worth a visit to this place. Speed boat is available and it is an amazing one. Bestowed with natural and greeny environment. It is famous for DAM but I actually enjoyed the journey to the site and the long walk ways inside the DAM site. 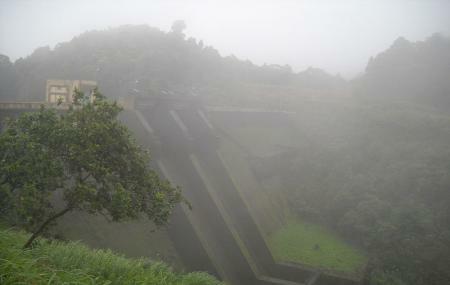 Around 60 km from Calicut city, this dam is located in a picturesque place. Really loved it. Extra hygienic and well maintained. Great place. Has some amazing views. But, lots of tickets. On entry (road), you have to take ticket and then you have to take another ticket after you reach the dam entry. Boating was the best experience going there for me. Entry time to dam site?Is it opens on15 th April or holi day for vishu?